Looking to get behind the wheel of a new Porsche? 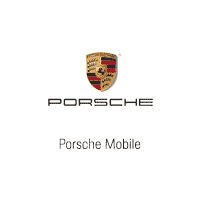 You can use Porsche Mobile’s car payment calculator to find your auto loan rate in Daphne. You can determine the purchase price of your next Porsche Macan or Porsche Cayenne before even setting foot in our Mobile dealership! Manufacturer’s Suggested Retail Price. Excludes options; taxes; title; registration; delivery, processing and handling fee; dealer charges. Dealer sets actual selling price. While great effort is made to ensure the accuracy of the information on this site, errors do occur so please verify information with a customer service rep. This is easily done by calling us at (251) 272-1412 or by visiting us at the dealership. If you have any questions about your car loan estimate, don’t hesitate to reach out to our finance department at your leisure! We want to help you find the right Porsche for your lifestyle for the right price, so contact us at your convenience with any Porsche finance questions. You’ll be hitting the Fairhope streets in a new luxury car in no time!